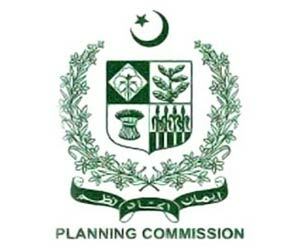 ISLAMABAD: The Annual Plan Coordination Committee (APCC) is expected to meet on Wednesday to approve for the 2012-13 financial year about Rs845 billion worth of Public Sector Development Programme (PSDP) – about 16 per cent higher than the current year’s programme. Planning Commission Deputy Chairman Dr Nadeemul Haque, provincial ministers for planning and development and secretaries of federal ministries and divisions will attend the meeting on May 2. Sources told Dawn on Sunday the planning commission had recommended a federal share of Rs370 billion for the development plan, including the foreign exchange component of Rs91 billion. The federal development programme is about 12 per cent higher than the current year’s budgetary allocation of Rs330 billion. They said the firm commitment development schemes had been kept at Rs350 billion, but another Rs20 billion had been recommended for block allocations to be kept at the disposal of federal ministries. The final size of the federal PSDP is likely to be increased to about Rs390 billion by the National Economic Council on special directives of the president and the prime minister. The provincial development plans have been estimated at Rs475 billion for next year, about 10.5 per cent higher than the current year’s allocation of Rs430 billion. The next year’s allocation for the Earthquake Reconstruction and Rehabilitation Authority has been kept unchanged at Rs10 billion. The country’s total development budget (federal and provincial) has been estimated at Rs845 billion for the next year against the current year’s budget allocation of Rs730 billion, showing an increase of 15.75 per cent or Rs115 billion. A special allocation of Rs27 billion has been recommended for the politically-motivated Peoples’ Works Programme for discretionary development schemes to be implemented on the directives of the prime minister and parliamentarians. The federal ministries had come up with a total demand of about Rs750 billion for development schemes that had been scaled down on the recommendations of the priorities’ committee keeping in view the overall financial envelop indicated by the ministry of finance. The sources said that the federal government would restrict the current year’s PSDP at Rs300 billion, instead of Rs330 billion allocated in the budget. This is despite the fact that project-related foreign inflows have surpassed the estimates by a wide margin owing to unrealistic estimates made in the last year’s budget. According to the sources, the government had estimated Rs38 billion foreign exchange inflows for development schemes in the current year’s federal budget that was revised to Rs90 billion. However, instead of making a proportional increase in development expenditure, the government has reduced the rupee component of development programme by Rs70 billion that has now been diverted to the subsidy account to meet higher requirement of the loss-making power sector. The government has already slowed down the local currency releases to development schemes as is evident from the Rs155 billion provided for projects in the first 10 months of the current financial year. The actual releases so far made to the federal projects are slightly higher than the amount spent for development during the same period last year, even though the PSDP was slashed by Rs100 billion last year. Officials said that while making the next year’s development plan, special emphasis has been placed on projects that are nearing completion coupled with those having international commitments under binding contracts. They said the PSDP size of Rs845 billion to be cleared by the APCC would be presented to the National Economic Council (NEC) for formal approval before the announcement of the federal budget. The NEC could increase the PSDP’s size in order to enable the government to announce fresh projects to win over voters in coming elections. The NEC is the country’s highest economic decision-making body headed by the prime minister, with chief ministers of four provinces and Gilgit-Baltistan, the prime minister of Azad Kashmir, governor of Khyber Pakhtunkhwa and federal and provincial ministers for finance and planning its members. area of Karachi while the angry protesters torced two vehicles, Geo News reported Monday. According to police, miscreants opened fire at Paracha Chowk in Sher Shah that killed one man on the spot while two others were critically wounded. The injured were shifted to Civil Hospital where they succumbed to thier injuries. After the killings, protestors set two mini buses on fire while the situation in the area turned tense, causing the business activities to shut. Rangers and police reached the spot to control violent situation. Protestors also burned tires and blocked roads in Pak Colony. · What has happened to Aitzaz Ahsan?